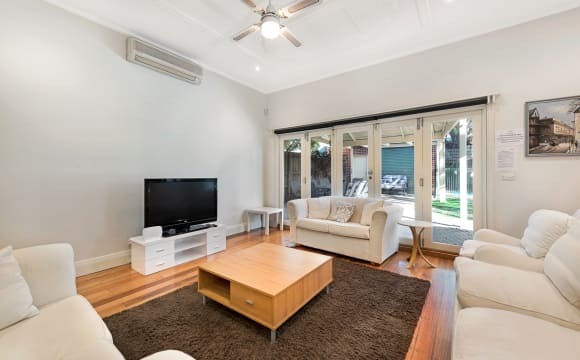 Great location, 10 minutes walking to two different train stations which are Tooranga and Gardiner stations. Route 72 tram is on Malvern road, easy access to Camberwell, Prahran (within 10-15 mins) and CBD. IGA supermarket, F45 Malvern, Snapfitness and Goodlife gyms, public swimming pool and a few great cafes and restaurants, Stockland Tooranga all are minutes walking. My apartment is fully furnished, along with shared bathroom, washing and dryer machines, separated toilet, large living room, balcony and kitchen and Netflix/Stan. A street parking permit is available for you. 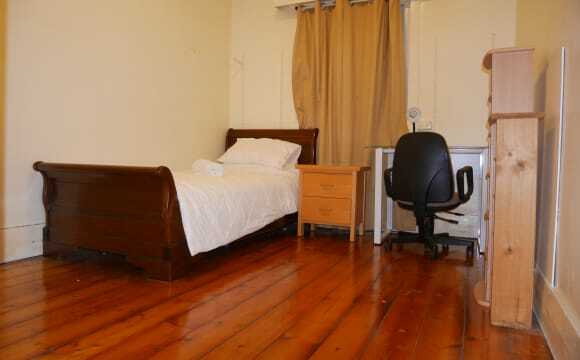 The Room: Your room is semi-furnished with bed, drawers, in-built wardrobe and heater. Lovely retro-style home in quiet leafy street. Plenty of parking, big backyard and garden area. Our cozy apartment is a 3 bedroom flat that has huge and spacious rooms, fully furnished, with a TV, a large kitchen that has a gas stove, oven, fridge and is connected to the living room. There is a small balcony attached to the living room. The laundry (washing machine and dryer) is in the bathroom. There are heaters and pedestal fans provided in every room. 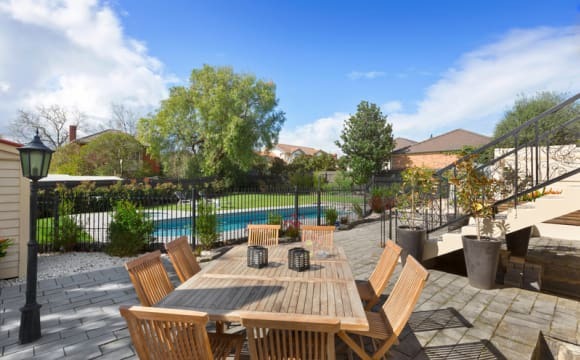 It is a 2 minute walk to the tram and bus station that take you to all directions, 10 minute walk to the supermarket and other shops in high street and around 20 minute walk to Monash Uni Caulfield. St Kilda, the CBD, are all easily accessible from your doorstep. About the rooms:- Rent includes:- a bedroom available for $ 175 p/w. (only for room) + approx 15$(for internet) BILLS ARE NOT INCLUDED IN THE RENT. On an average the bills might come around $ 10 - $ 15 p/w. Minimum stay is 6 months (Negotiable) and bond is equivalent to one months' rent. Great location. Has Netflix, wifi, 2 minute walk from trams and trains. Double brick so keeps cool in the summer and central heating for winter. Court yard and brand new kitchen and bathroom. 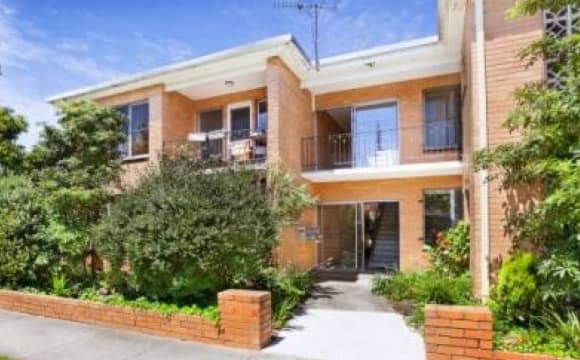 Lovely 2 bedroom townhouse in the leafy streets of Malvern East! House is fully furnished except for the bedroom. Ducted heating throughout. Renovated kitchen and bathroom with double vanity. House comes with a laundry and separate store room as well as a courtyard! Big living space with seperate dining area. Heaps of on-street parking. * FEMALE housemate wanted * A minimum 1 year stay at the very least Cozy affordable room in ground floor apartment available for rent in lovely Malvern East area. Great location, opposite beautiful central park, 2 minute walk from No. 5 tram (to Melbourne Uni) on Wattletree road and walking distance to Darling, Glen Iris and Caulfield train stations. Room will be available from around 16th April at the earliest and you will be sharing with Audrey and Alam. If you’re over cleaning up after other people and living in a pigsty (which is often the case with house sharing) or being kept up all night by disrespectful housemates then this place is for you. Audrey and Alam are both tidy and respectful housemates. Household cleaning is shared evenly so no one ends up doing everything. The apartment has really great ducted heating, which is essential for the freezing winter months in Melbourne. The toilet is also separate to the bathroom, which is always handy when you're house sharing! 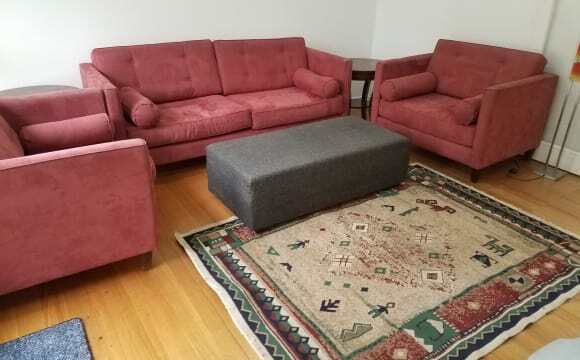 Rent: $137 per week/$594 per CALENDAR month, plus bills (shared between the 3 housemates.) * Calculated estimate: $165-180 per week/all expenses * Bond: $579.30 (Not $548 as suggested below) * Furnished room up for negotiation If you're interested please contact Wahyu and tell us a little bit about yourself. Inspections will be held next week. The apartment is a lovely, bright space with medium/large sized bedrooms. Beautiful views of Central Park from the lounge and balcony. 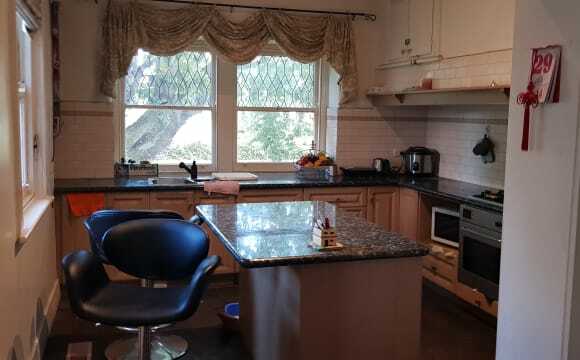 Nice medium sized kitchen with views of the Dandenong ranges in the distance. The apartment is newly renovated, clean and tidy with large windows in the lounge room and both bedrooms. In an enviable location, renowned for its exceptional lifestyle advantages, this recently renovated, private two-bedroom apartment is conveniently located on the ground floor of this well maintained block. Features Include: 1. Two spacious bedrooms with built in robes. One bedroom is available(smaller than the one in the picture and fully furnished). Sharing Bills. 2. Spacious living room with floor boards 3. Split system heating and cooling 4. Kitchen with meals area with stainless steel appliances and gas cooking 5. Dishwasher 6. Sony Smart TV 7. Sparkling bathroom with shower over bath 8. Laundry facilities 9. Single off street car space. Stroll to Central Park and Monash Caufiled Campus, take in local shops, eateries and gyms, and utilise the excellent transport options with tram, train and simple CBD access. PERKS: Rent includes bills &amp; internet | Big house | Close to public transport | Furnished rooms PRICE: Room 1 $200 pw | Room 2 $210 pw RULES: Non-smoking | No party/over night guests | no couples | no pets A lovely, friendly and warm upmarket house looking for two female housemates that are responsible and neat tenants. The rent for the room and common area use is $245 or $255 p/w inclusive of bills and internet usage. 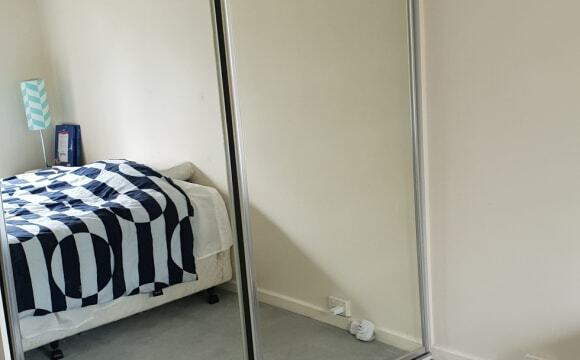 If you want to rent the master bedroom with ensuite, then it's $350 pw. This is a super charming neighborhood full of young families and kind locals. There's a bus stop right out the front, or you can walk 10min to get to Darling station. Ashburton is located approximately 30min from the city centre, or 20min if you take the Monash Freeway. The house is 15min walk from the local shopping strip on High Street Road full of local small businesses. 5min drive to Chadstone shopping centre for the shopaholics and style gurus! I am offering 1 large room that has built in wardrobes, bed and mattress, desk and shelves. 1 room is slightly smaller so that's why the rent is also cheaper. You'll have access to the common area on the ground floor, with a large fridge and a small, extra kitchen area for fun cooking adventures. This house is my family home, so there will be rules in regards to living here. This is not a party house, and I require mature minded people who are considerate of the property. Unfortunately there's no maid, so everyone will have to pull their weight in regards to cleaning! Yes, including the toilet... If you think you fit the bill, feel free to shoot me a message. It's a large and spacious house, ready to welcome the right people into its fold! This property is a real gem, situated in an incredibly convenient location. 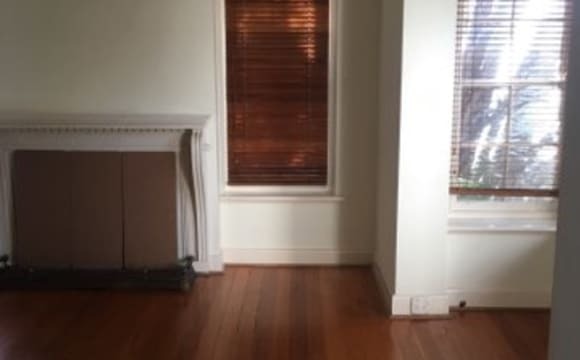 Walking distance to public transport and Anderson Park. The shops and cafes of Camberwell Junction are a stones throw away and Swinburne uni and Glenferrie road are easily accessible by tram. 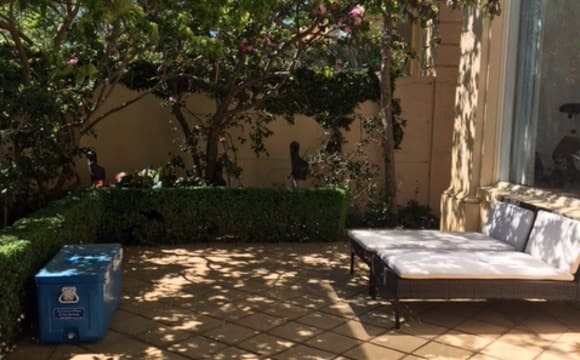 The house itself is set in one of Hawthorn easts quiet, tree lined streets and features 3 large bedrooms with BIRs, a very large study (which can be yours) and 2 bathrooms. It also boasts a beautiful courtyard, garage and lots of storage. The kitchen/dining area is open plan and has north facing floor to ceiling windows allowing plenty of light. It also has ducted heating for the colder months and a cooling system for summer. Parking permit included. 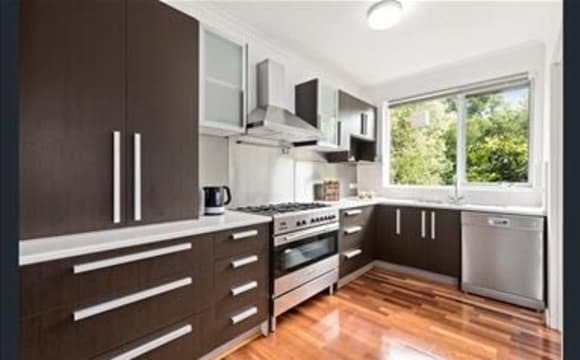 This is a newly renovated unit in leafy camberwell- one of the rare finds in terms of space for an apartment. The unit is on the first floor fully furnished including the bedroom and storage can be added if needed. The kitchen is fully equipped including dishwasher, fridge, microwave and other kitchen electronics. The living area is furnished with flat screen Tv ( Netflix included),recliner sofas and the best view relaxing in summer or winter. It has a bit of a beach house feel with designer furnitures and open spaces. The bathroom is fresh and gorgeous with dark grey tiles open shower area , oaky vanity, big mirror with cool white background. Laundry area is shared with 2 big washing machines and dryer. All you need are you clothes and personal belongings to move in. One of the best location with a lot of public transport options : very close to Wilson Station and Hartwell station- waking distance of approximately 10 minutes. Tram 75 is only 5 minutes away by foot. Close to many train stations within 10 minutes drive ( Glen Iris station, Burwood station, Riversdale station and Camberwell station). Camberwell Junction is only a 5 minutes drive and express trains that takes you in 15 minutes to the city. 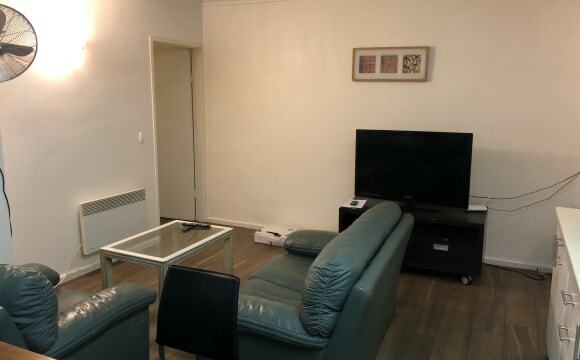 The unit is close to Deakin and Swinburn University if you work or study. Cars can be parked on the street. The room will be available end of April and you are welcome to come and inspect the properly either after 8am or after 6pm weekdays. We can arrange a time that suits you during weekend as well. I like to keep the house clean and tidy specially common areas. There is a small garden on ground floor as well to chill. Any questions please feel free to contact me. The photos do not do justice to the place as it looks much better in reality. 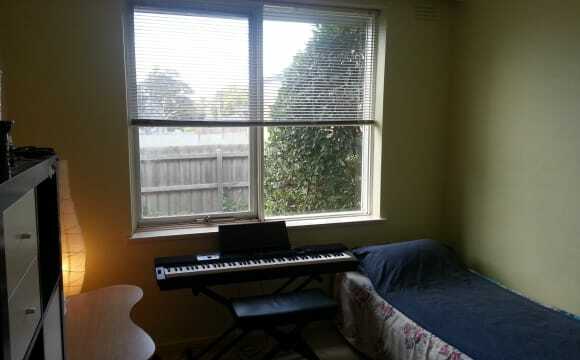 I have a Cozy 2 beds apartment in Malvern East. 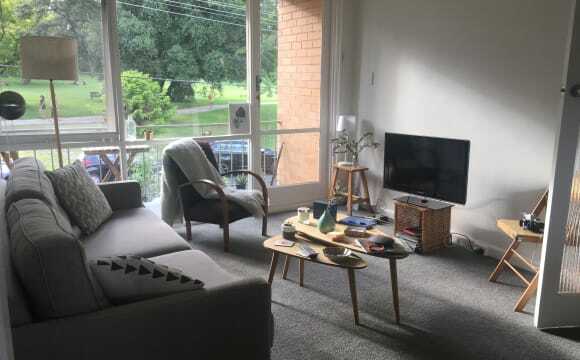 located close to Burke Road Close to Monash University Caulfield campus with walking distance Easy access to Dandenong Road and the Monash Freeway. 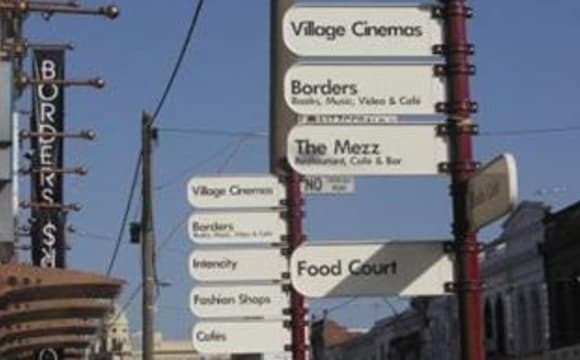 Chadstone Shopping Centre is only a 5 minute drive away. Trams on Waverly Road. 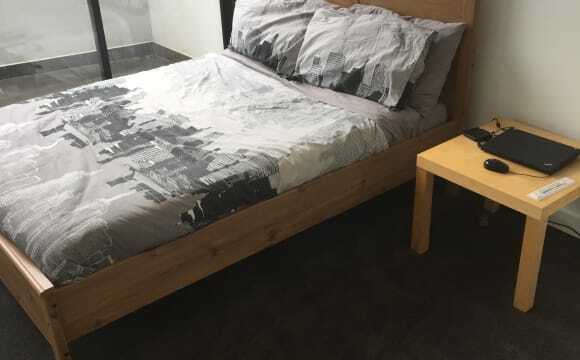 * bedroom with built in robes *Renovated bathroom *Gas cooking *Updated carpets *Renovated kitchen *Private balcony Furnished apartment - not your room.Soz :) I am looking for someone who is cool and laid back. Is more than capable of always paying their rent/bills on time, is clean and tidy, capable of sharing responsibilities for the house. Someone I can get along with as a good mate, as well as just a housemate with A good sense of humor. Cozy house and full of natural light. Your private space includes a bedroom with a comfortable double bed. Perfect place for discovering Camberwell, the CBD and Melbourne in general. Your own private bedroom. This large sun filled room is clean, neat and uncluttered, with plenty of space for you to make your own. Bathroom is right next to your room. You can instantly relax after your travels, sleep, read a book while looking out onto living room have access to free WIFI or watch TV in our living room. Camberwell is the blue chip suburb, most our neighborhood are seniors citizens. The beautiful tree line, surrounding by beautiful park. Cafe is just round the corner, street shopping, Camberwell Sunday market, 5 minutes drive to Charstone shopping g center, easy access to city There are 3 shower and 3 toilets, big kitchen. 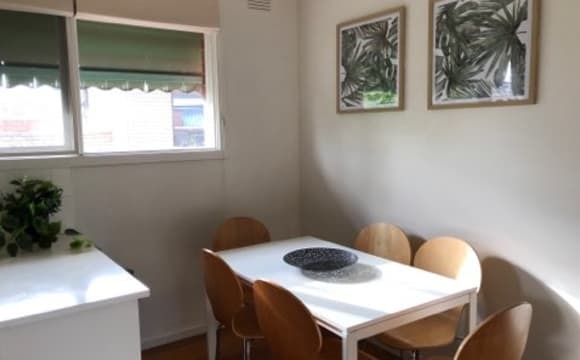 **LEASE TAKEOVER** Three double bedroom property available in Malvern East (Tennyson Street) from the 19th May - 16th July (landlord is also happy to extend lease if wanted) *must be a group of 3* $750 per week, BILLS &amp; WIFI INCLUDED, FULLY FURNISHED. Rent can be set up to be paid weekly, fortnightly or monthly. BOND $500PP (Total $1500) All rooms come fully furnished - large wardrobes and double bed, dressing table/desk, fans and lamps. Bathroom - Shower, bath, washing machine and dryer Toilet separate to bathroom Front room - Smart TV included Kitchen - Fully furnished 1x Car parking spot Tram stop 2 minute walk - 3/3a to City and Luna Park Caulfield train station - 10 minute walk Coles and Aldi in the area PM me if you would like to view the property!